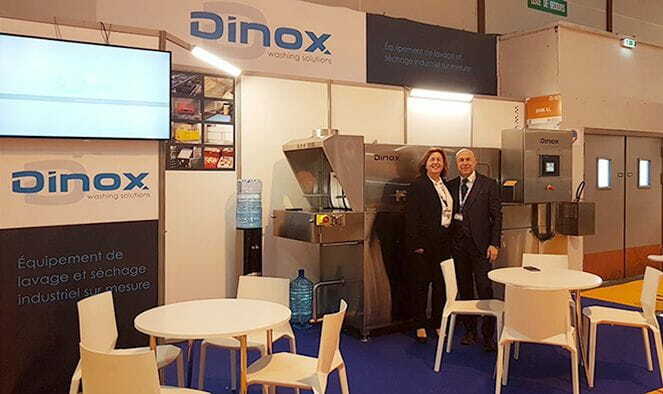 DINOX has been at the CFIA fair in Rennes, the trade fair for agri-food professionals in France. The assistants could see our tunnel of washing of boxes, trays, molds and several pieces, model M-2, a compact team for medium productions of between 350 and 400 pieces / hour. The M-2 washing machine has different water heating systems and can be adapted, according to the specific hygiene needs of each product.